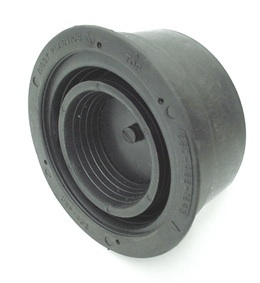 The Rissy Universal Reducer and Plug is a must have for any installer. 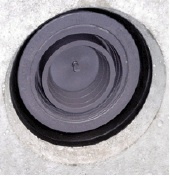 Designed to fit typical 4 inch cast in plastic seals like the Miniboot, it will reduce the seal to a smaller diameter or plug it altogether. The URP is shown here plugging a Miniboot Pipe Seal. Great for changes or corrections. 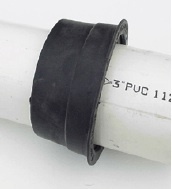 The URP will reduce to 3 inch SDR and SCH40 pipe. And reduce to 2 inch pipe. 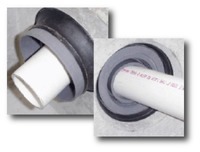 Great for pump chamber installs.